If you want to realize how much the expert one off cleaning will charge you - call our 24/7 customer care operators immediately. They will provide a free offer for the price per hour. Phone 020 3746 1366 or send an online inquiry here. Ensure your property will get proper spring cleaning Clapham SW4 prior to, through or even right after spring cleaning season with our professional one off spring cleaning service. Our reliable cleaners are well prepared and properly taught to deal with all kinds of cleaning work. 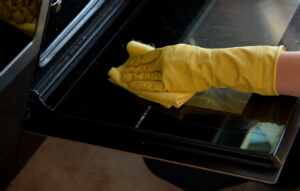 We have created a detailed cleaning checklist, which you can utilize to pick the cleaning tasks you want performed for the time of cleaning you have purchased. We will clean any room, item or numerous items in your home or office space. We will assist you get your property or home shining clean all over again and save you the effort and time of doing the demanding spring cleaning by yourself. The cleaners work carefully and stick to all of our level of quality and security demands for the job. To obtain your property cleaned up to brilliance and safely sanitised, reserve our one off cleaning service now!